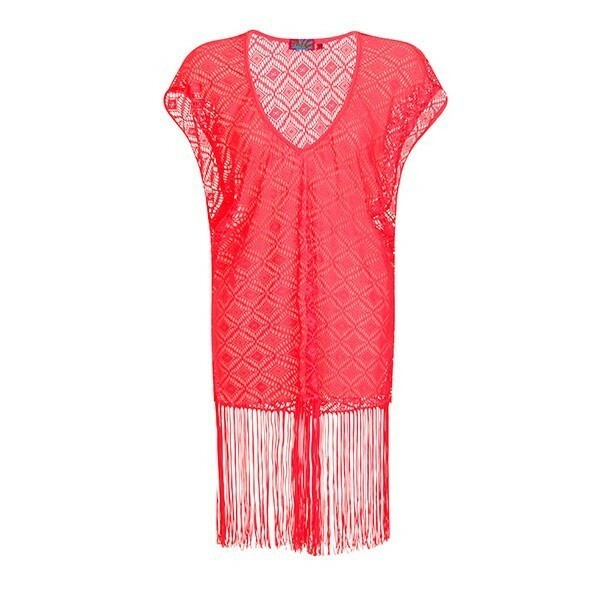 Ladies coral crochet kaftan top with fringed hem detail. Made from 90% polyamide, 10% elastane. 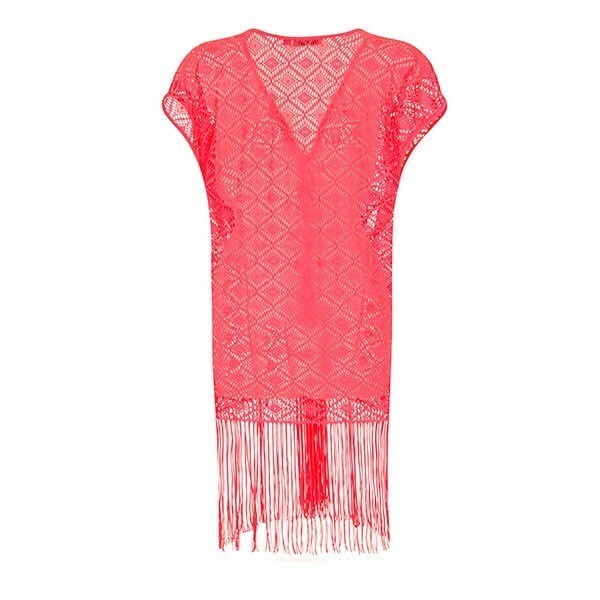 Available sizes S/M, M/L. Comes in packs of 12.